Ochs was always less a poet than he was a singing journalist, a role he mastered by writing dozens of songs like “Here’s to the State of Mississippi,” “Talkin’ Cuba Crisis,” and “The Marines Have Landed on the Shores of Santo Domingo,” on albums like All the News That’s Fit to Sing. 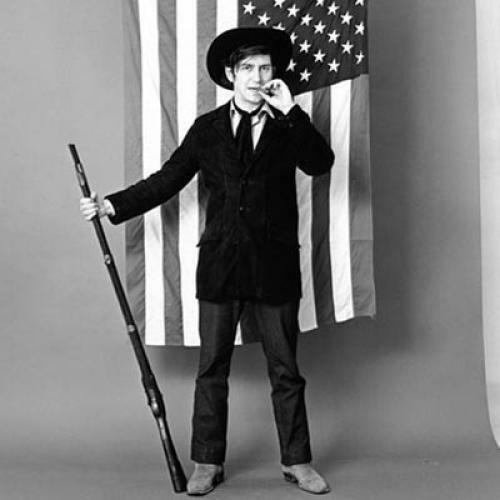 A conference on Phil Ochs’s songs about jurisprudence and politics could run for a week, but it will never happen. Ochs’s songs, like most works of journalism, are frozen in their day. A new documentary about Ochs, There But for Fortune, tells the story of his mercurial, tortured life without grossly inflating his importance or glamorizing his mental illness. I interviewed Ochs only once, on the phone, for an article on “Ghosts of the Folk Era” for an undergraduate journalism class at NYU, and he was incoherent. Panicked, I got off the phone after a minute or two, and I had no idea what to make of him until a few months later, when I read his obituary.